1996 permanently established the Coen brothers as modern visionaries. With ‘Fargo’, they entered the elite club of filmmakers who can do no wrong. The wonderfully plastered and soulfully performed kidnapping gone-wrong thriller etched itself in the history of celluloid as a truly groundbreaking masterpiece. It materialized into universal acclaim for the Coens, also fetching them their first Academy Awards. FX decided to revamp the film as an anthology television series. Creator Noah Hawley talked the idea with the Coens over a phone call with his baby strapped to his chest, which possibly might be the most important phone call in television history. Because what follows is an absorbing, atmospheric, hair-raising three seasons (soon, four), might be unsurpassable. With the blessings of the Coens, Hawley nails the tenor and tone of the 1996 film to give an end product that is a timeless classic. The flawless narratives in each season spread over different timelines, sprawl over many themes and moods. The quality it achieves in production is unprecedented for television series. 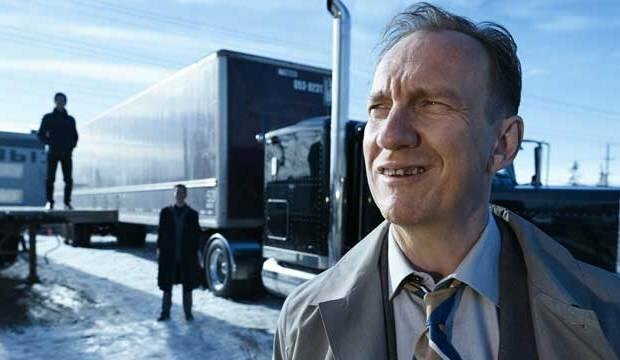 Commentators and audiences often mention ‘Fargo’ in the same breath as shows like ‘The Wire’, and ‘Sopranos’, proving just how good the show is. The hardest task for Hawley and the writing team was to avoid imitation. The Coens served as producers for the first season and set the tone for the next two. The television series completes the task with aplomb and sets its own niche in place that is wildly effective. Although the series is an anthology, meaning there is no connection between the storylines of different seasons, the first two share the same character universe, even featuring many of the same characters. The third, though, is set in a different space than the other two. It stars Ewan McGregor in a double role as the twin Stussy brothers, Emmit and Raymond. While one is a business tycoon living in a dreamy mansion, happily married; the other a lowly probation officer, sharing his life in a small apartment with his girlfriend, Nikki, a crafty and alluring young woman, and an ex-parolee. The introduction of VM Varga, a mysterious British businessman, in their lives, upend normalcy and pits the two against each other. Police Chief Gloria Burgle gets connected to the story in bizarre fashion and sets up an enticing finale. ‘Fargo’ outperforms and outranks its contemporary shows with hauntingly original and inventive storytelling. 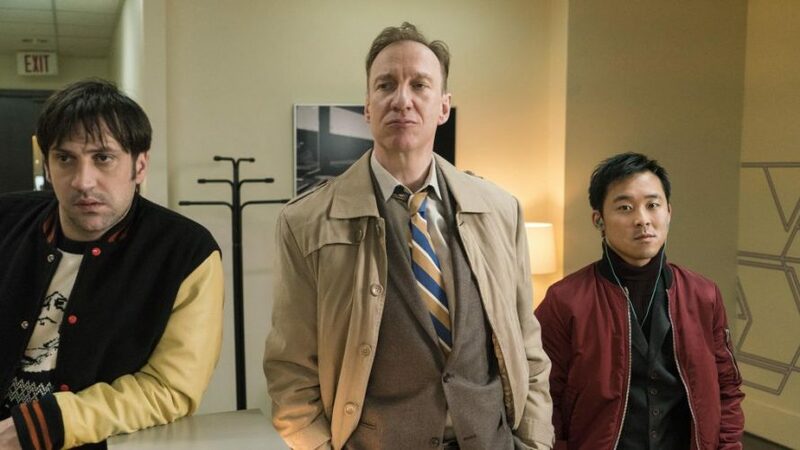 Replete with big performers, ‘Fargo’s dark humor and quirky one-liners stay in the memory long after you finish the show. This explainer takes a look at the third season and attempts to dissect its themes, symbols, and everything that might have slipped under your radar. Happy reading! Season three draws on the interconnected lives of a police chief, Gloria, commanding two people; the Parking Lot King of Minnesota, Emmit Stussy; and a probation officer, Emmit’s twin brother, Raymond Stussy, and his girlfriend, Nikki, a young swindler out on probation. The Stussy brothers constantly fight due to Emmit’s inheritance of valuable antique post-stamps, which Raymond feel can set his life on track. In a series of comical events, the man Raymond and Nikki send to steal the post-cards from Emmit, inadvertently goes to the wrong Stussy, Gloria’s father, and murders him. Emmit Stussy deals with his own problems. 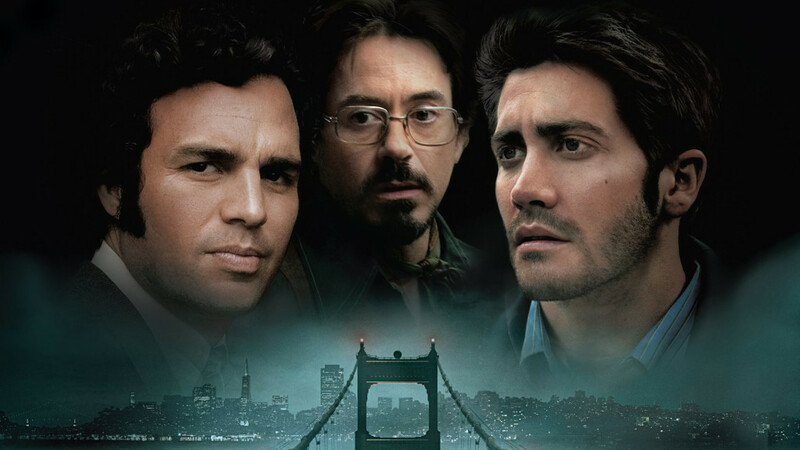 A mysterious British businessman, VM Varga, contracts with his company and becomes partners. His domineering personality and weird idiosyncracies keep Emmit at a distance, almost blackmailing him to work together. Gradually, Gloria starts to connect the dots, and we have on our hands an incredible tale filled with twists, thrill, and delightfully tasteful humor, that keeps you engaged. Much like the other two seasons, season three shares a common theme of miscommunication. Emmit and Raymond do not hold each other in great stead but still feel connected by virtue of the Stussy bloodline. Despite their partners filling their ears against the other, the two treat other with respect and great affection. Despite this love, they quarrel and are preyed by monsters around them who take advantage of their miscommunication. Comparatively, season three’s writing is weak. The plot isn’t a slow-burner like the previous two seasons and feels a bit rushed. 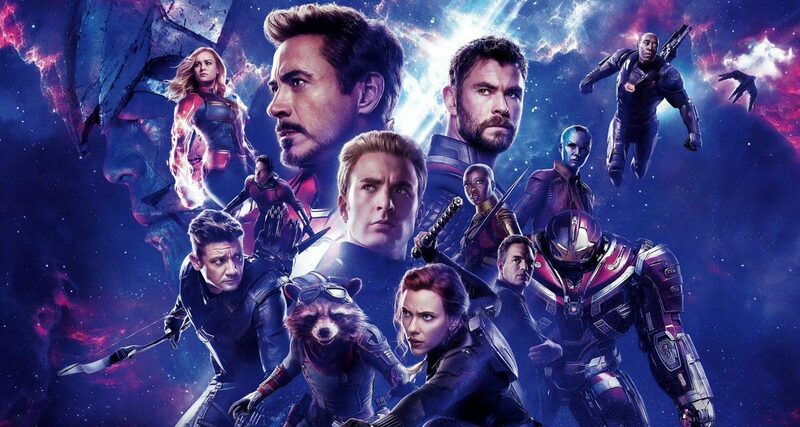 Although the characters are developed with great enthusiasm and contrast, they fail to conjure up the chemistry that the previous seasons conjured up. The most heavily drawn upon theme in the season was the idea of truth. We live in a post-truth era where the determination of the veracity of something is almost next to impossible. There is more than one truth out there, and we seem to accept what I call the preferential truth. What is according to our convenience, we accept; others, we don’t care for. Both Ray and Emmit stake their respective claims on the stamps, with competing notions of the truth being different for them. They see the stamps as theirs and fail to acknowledge the objective truth of the situation. The videotape that Stella, Emmit’s wife, watches is a farce created by Raymond to distance Raymond from his family. And he succeeds; Stella leaves the next day. Truth, yet again, fails to embrace the characters, who assume their own version of it. The harsh reality is something no one likes to see or understand. People merge their experiences, expectations, and the favorable parts of a situation to delude themselves. Their relationships with others around them suffer as a consequence. The value of truth is taken into consideration in a world where people’s actions are driven by what they believe, regardless of whether or not it’s true. While the series has more instances where this tussle between truth and false continues, the lesson remains the same: don’t assume. The most exciting and well-brought out notion in season three is that of justice. But this justice isn’t delivered by a human hand. Free from human faculty, this justice is cosmic in nature, worked together by divine forces at large. None of the characters is able to realize their ambitions, but each meets his/her own fate. For instance, Ray dies of a glass shard, from the post-stamps he lusted after and fought with his brother for them. Emmit, who inadvertently murders him, is disabled from bettering his relationship with his little brother. Nikki is killed in a Mexican-standoff, failing to take revenge from Emmit. Emmit himself is killed in the warmth of his own house, after reconciling with his family and truly getting affection from them. All of these people are killed by the wrong person, probably for the exception of Mr. Wrench, and at the wrong time. There’s a sense of justice for their actions through the series. All of them, be it Raymond, Nikki, Emmit, or even Varga; all have somehow wronged their own fates. It seems for a time that they have altered what fate had in store for them but time duly catches up with them, taking their lives in a fashion that they, or us, least expected. Hawley’s incredible sense of this story arch makes fans of the Coens’ works nostalgic. It is his ode to life and its simple principle: you’ll never get what you want or escape what is coming to get you. In a true ode to the Coens’, Hawley recreates ‘The Big Lebowski’s famous bar scene with Jeff Bridges’ the Dude and a stranger, not once, but twice. First, it is with Gloria and her encounter with Paul Marrone. While this is certainly something that is not very significant, his other encounter, with Nikki, is. After Nikki and Mr. Wrench escape the prison bus and the ensuing hunters, they reach a bowling alley. Almost on the verge of death, the two are helped by Marrone and taken aback by his extraordinarily calm demeanor. This almost heavenly encounter is a recreation and ode to the Coens’ legacy and craft. In the narrative, I think Paul’s character is like a guiding light to people who seem lost. While in the first instance it was metaphorical, with Gloria appearing lost in a world where nothing goes her way, in the second instance, Nikki is genuinely lost and finds help in Marrone. Just thought I should mention this for true Coens fans like me who are reading this. You’re not alone. 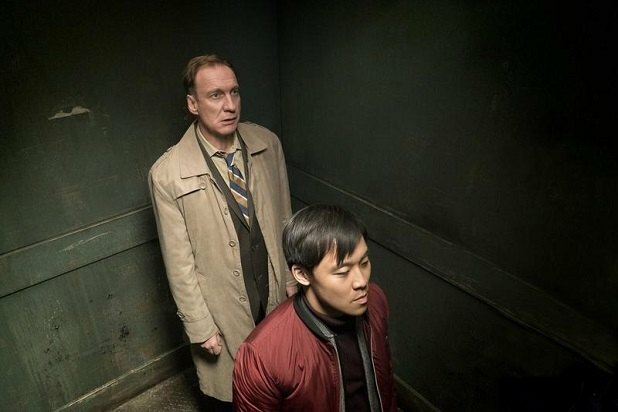 Fargo’s season three has a very cryptic ending. The finale, I feel, is the strongest of the three seasons and certainly ends season three on a very, very bright note. Dollard (tastefully named) finally figures out Varga’s scam and informs Gloria. Meanwhile, Varga arranges for Emmit to sign the company over to Goldfarb, who is revealed to be in cahoots with Varga and takes over management when Emmit reaches his office. Varga goes to meet Nikki to hand over ransom money and retrieve his classified hard disks. He is ambushed by Nikki and Mr. Wrench (from season two) but successfully escapes. Nikki, now seeking revenge on Emmit for his role in the murder of Raymond, stalls his car on a deserted road. When a state trooper intervenes, the two kill each other in a Mexican-standoffish scene. A crying Emmit narrates the entire ordeal to his wife. The story jumps five years in future, where we see Emmit’s family happy and well. He is shot in the midst by Mr. Wrench, who exacts revenge on Nikki’s death. Varga is stopped at an airport and interviewed by Gloria, who is now with the Department of Homeland Security. The two share a serious conversation and threaten each other of their plans. Gloria’s smile, unsure and confident, ends the season. The final episode promised a lot of answers but ends posing more questions. There isn’t much that can be said about Gloria and Varga’s exchanges. Will the storyline continue in the fourth season as well? 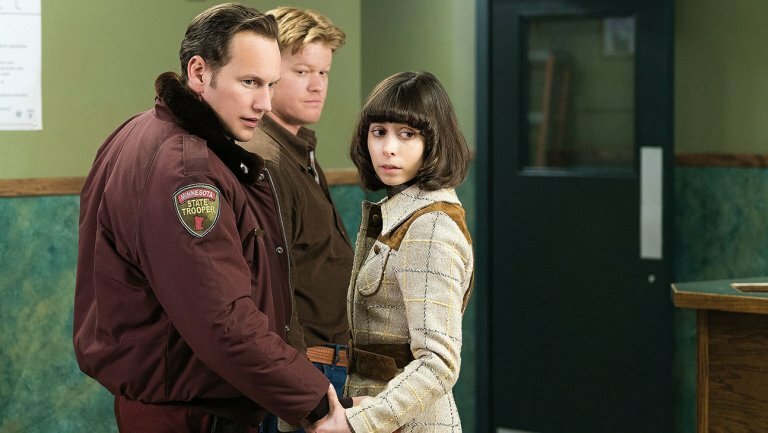 Will ‘Fargo’ break its tradition of being an anthology series? We’ll have to wait to find out. Or, we might have an answer for you, Read on. I think the end really highlights and brings out the notion of cosmic justice I talked about earlier. Almost every character who was killed died unexpectedly and contrary to the viewer’s desire. Nikki is killed just as she proves to the audience that she is honorable, trustworthy, and loved Raymond for the person he was, not for his assumed wealth. Emmit is killed when he has reconciled with his family and for the first time in his life, feels a part of a complete and loved household. He is not distracted by his drive for wealth or erecting more parking lots. And killed by a loved character; the hero in every situation, Mr. Wrench. Varga escapes his fate and lives on, although he meets his fate as Gloria apprehends him. The finale, that seems popped like a wild fantasy from Hawley’s reverie, is a series of anti-climaxes. It upholds the flavor of its previous seasons and the Coens’ brand of cinema. The underlying message, as explained by Hawley in vague terms in an interview to The Hollywood Reporter is the audacity and vagaries of life. “at the end of the day,” Hawley quips, “there’s a very simple morality to a very complicated moral universe”. We often get surprises from life in the form of happiness or sorrow. Unexpected moments can turn out to be the most beautiful of memories, or the most hellish of nightmares. But the very notion, or probability of something good happening is exciting and makes life’s untraceable trajectory so wonderful. Not knowing what comes next gives motivation and desire to carry on and hold on to hope. Fargo Season Four: What to Expect? It seems that season four will not continue with the storyline of season three. The producers have already hinted towards a shift in the storyline to further back, the ’50s. In the latest developments, Chris Rock has joined the cast in a dark role. He is slated to “play the head of an African-American crime syndicate who goes to war with the Italian mafia in Kansas City, Missouri during the 1950s”. For the official synopsis and to know more check out this. One thing is for sure: season four will be as fun and as unpredictable as its predecessors, who’ve set the bar pretty high for it.